During the Spanish conquest of the East in the 1500's, the Galleon trade was established between the Philippines and Spain ushering the Spanish colonization of the Philippine Islands. It became a common practice that each Galleon that sailed to the East carried an image of the Blessed Mother carved in hard wood fashioned after the medieval queens of the time. This was a part of the Christianization effort of Spain. Each image was brought into land and a church or fortress was built in her name. Because of the vast trade and commerce all around the Philippine Islands, there came to be numerous shrines scattered all over the archipelago in honor of Our Blessed Mother. Some of the more popular ones are Our Lady of La Naval in Manila, Our Lady of Manaoag in Pangasinan, Our Lady of Peñafrancia in Naga, Our Lady of Peace and Good Voyage in Antipolo, Our Lady of De Guia in Malate, Our Lady of Piat in Cagayan Valley, and Our Lady of Covadonga in La Trinidad, Benguet. 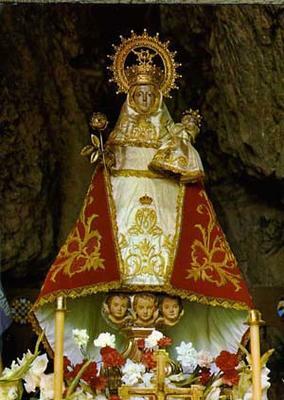 It is believed that the image of Our Lady of Covadonga was carried by a Galleon that docked in the ports of La Union. 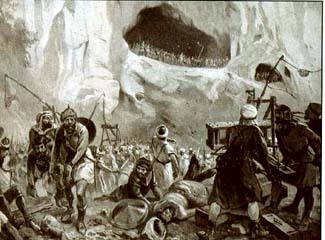 Later her image was brought up the mountains of the Cordilleras by the Spanish conquistadores who wished to Christianize the mountainous regions of North of Luzon, the Cordilleras. It is said that the conquistadores carried her image and ascended by foot through the mountainous paths on the boundaries of La Union and Benguet into a beautiful flat valley surrounded by mountains. They named the place La Trinidad and built a stone chapel to house the image and started the devotion to Our Lady of Covadonga. A clear evidence that the Spaniards stayed there is the name of the place, La Trinidad valley, which is the only Spanish-named town in the entire province of Benguet. The Spaniards also founded the Parish of San Jose there but, unfortunately, due to the large indigenous pagan population, the devotion to Our Lady did not prosper. In the meantime, lowlanders from the neighboring Ilocano regions slowly migrated to the town of La Trinidad and they were the first Roman Catholics to live in the area. The natives remained strong in their culture and pagan beliefs. The Roman Catholic faith gradually flourished in La Trinidad. In the 18th century, the stone church was ravaged by a fire by still unknown reasons. But the image of Our Lady of Covadonga was saved by the religious townsfolks who painstakingly built a wooden Church in the turn of the century. This wooden church grew and became the earliest center of the Catholic faith in La Trinidad, with mostly local Ilocano migrants as parishioners and some natives gradually embracing the faith. But the Church got burned again after the Second World War, in 1948, and all records and historical data about the parish was lost in that fire. The centuries-old Image was saved once more and it was later moved in one of the homes in the Poblacion area, residing for a time in the Sales’s family home. In the 1950's a small wooden chapel was built on the same site and the image was placed at the right side of the altar, unmarked and without any adornments or garments for many years. 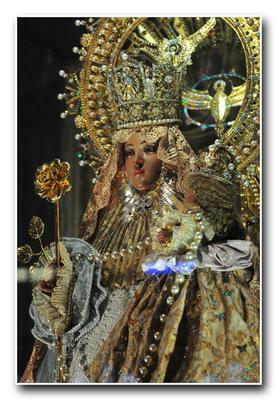 In 1979, a new replica of the image of Our Lady of Covadonga was donated from Spain to the San Jose Parish Church by devoted Asturians led by the Cacho family. This replica was received by the then Parish priest, Rev. Fr. Camilo Declercq, with the Most Rev. Bishop William Brasseur, Vicar Apostolic to Benguet and the Mountain Provinces, in attendance. The centuries-old statue was removed from the right side of altar to give way to the replica. The original image was transferred to a smaller chapel of the Sacred Heart in the same town only to be to be forgotten and left in utter neglect. mostly local Ilocano migrants as parishioners and some natives gradually embracing the faith. The story is very interesting and informative. I have never listened to such stories. I am looking Helvetic Clinics and dental implants abroad forward to some more interesting stories from your side. 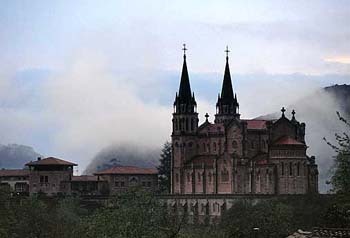 Covadonga is small kingdom formed after the Muslims conquered the Iberian peninsula. 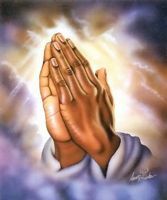 All the Christians believe it is a miracle place. People believe it is a god's own country.